Work Hard, Train Hard, Play Harder: Do you have what it takes for the NikeFuel mission? 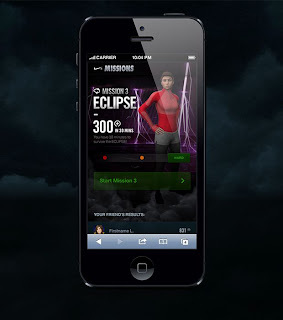 Do you have what it takes for the NikeFuel mission? 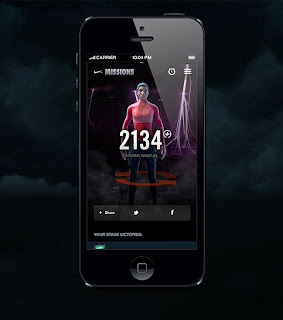 Tomorrow marks the first time ever NikeFuel Missions, the game will be powered by your everyday movement. The objective of each mission is to earn enough NikeFuel in a given time period. Choose your physical activity and get moving. The more you move, the more NikeFuel you earn. Begin your NikeFuel Missions journey by logging in using your Nike+ Account. 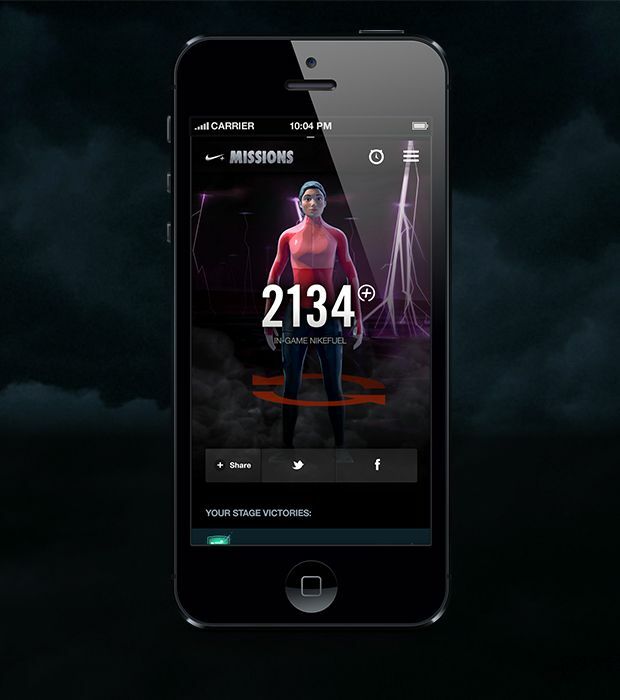 If you do not already have a Nike+ account, you can create one by visiting nikeplus.com. Your Nike+ device measures your movement and turns it into NikeFuel. You must earn NikeFuel to advance throughout the game. To begin a mission, you must select a single device for gameplay. You may change your selected device on the Settings screen, provided a mission is not in progress. At the start of each mission, you may choose your difficulty level: easy, medium, or hard. This will determine the amount of NikeFuel required to pass the mission. Each mission duration varies throughout the game. 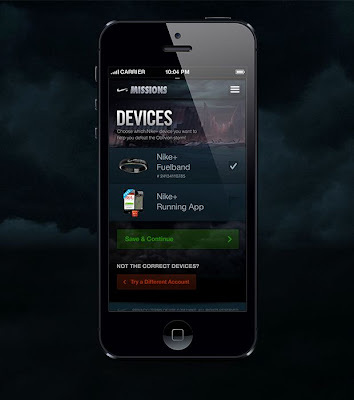 Once you have your Nike+ device in hand and are ready to begin, click or tap Play Now. This will begin the mission and start the clock. The Mission clock will count down until it has expired. You must sync your Nike+ device after the Mission clock has expired to view gameplay results. You may sync your device at any time; however, gameplay results will not be available until you do so. If you have not met the NikeFuel goal to advance to the next Mission, you may restart at any time to try again. Got it? Now get moving! !